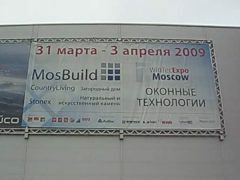 As every year, CAD-PLAN also took part again in the largest and most well known Russian construction exhibition, Mosbuild, from 31st March to 3rd April, 2009. 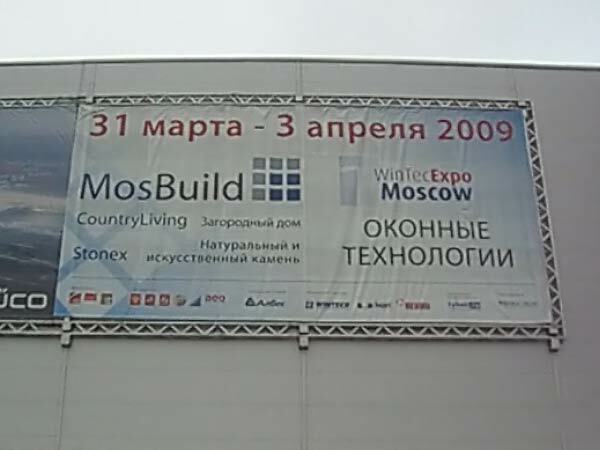 This time it was Mosbuild’s 15-year jubilee and it was able to welcome thousands of visitors who were looking for the latest developments, products and services. 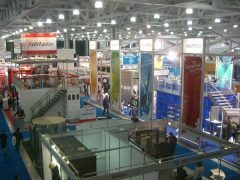 Exhibitors from 45 countries made use of 150,000 square meters of exhibition space on the Crocus Expo and Expocenter exhibition sites. 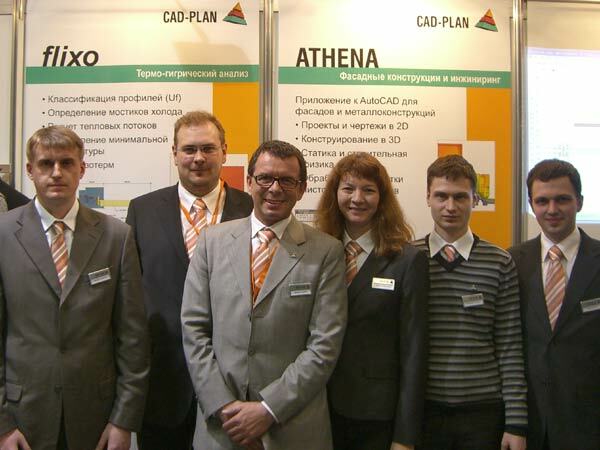 With a large number of other German companies CAD-PLAN flew the flag at Mosbuild and, together with Orgadata, the producer of the LogiKal calculation software, presented the current version of ATHENA 2009, Flixo and SJ MEPLA on a shared exhibition stand. 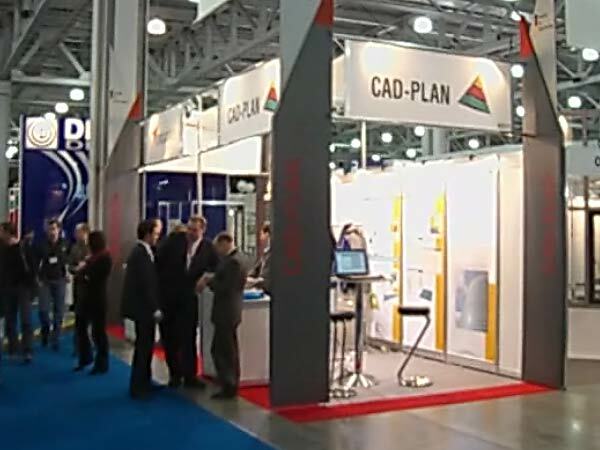 The recently founded Russian CAD-PLAN branch also sells and supports LogiKal. 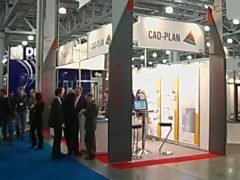 The stand was manned by some high ranking people: Along with four new employees from the Russian CAD-PLAN branch, those welcoming visitors were Martin Tauber, Managing Director of CAD-PLAN GmbH, Achim Rudolph, Managing Director of Orgadata AG, Mariusz Megier, Manager of Orgadata Poland and Elena Rodionova, Manager of CAD-PLAN Russia. 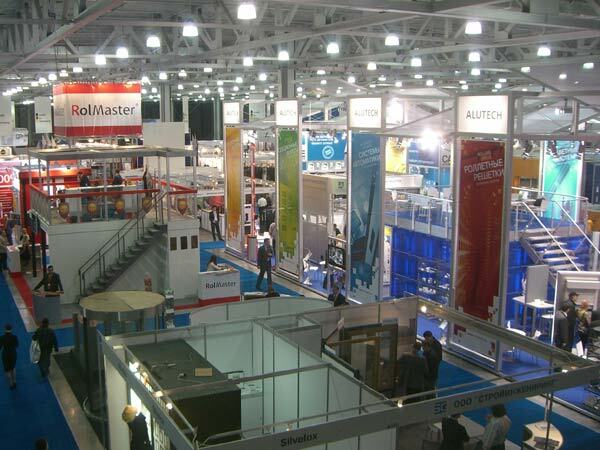 We were happy to greet a large number of customers from all over Russia and the former CIS states. We extend a warm invitation to all prospective customers to visit us in the CAD-PLAN branch in Moscow or at Mosbuild 2010.